Duration: 2 mins, 59 sec. Recorded/performed at: Conservatorium Theatre, Southbank, Brisbane, on Dec 08. Commissioned by Susan Lorette Dunn. 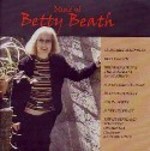 CD: Music with Indonesian influence / Betty Beath. Score: Nawang Wulan : guardian of the earth and rice, for voice and piano / Betty Beath.